We build custom video solutions of any complexity — from multiscreen platforms to complex MAM orchestration systems. A revamped business-critical VoD platform offering a sleek mobile-ready UI, a custom advertising module, and an array of sophisticated features to help the client increase their market reach. 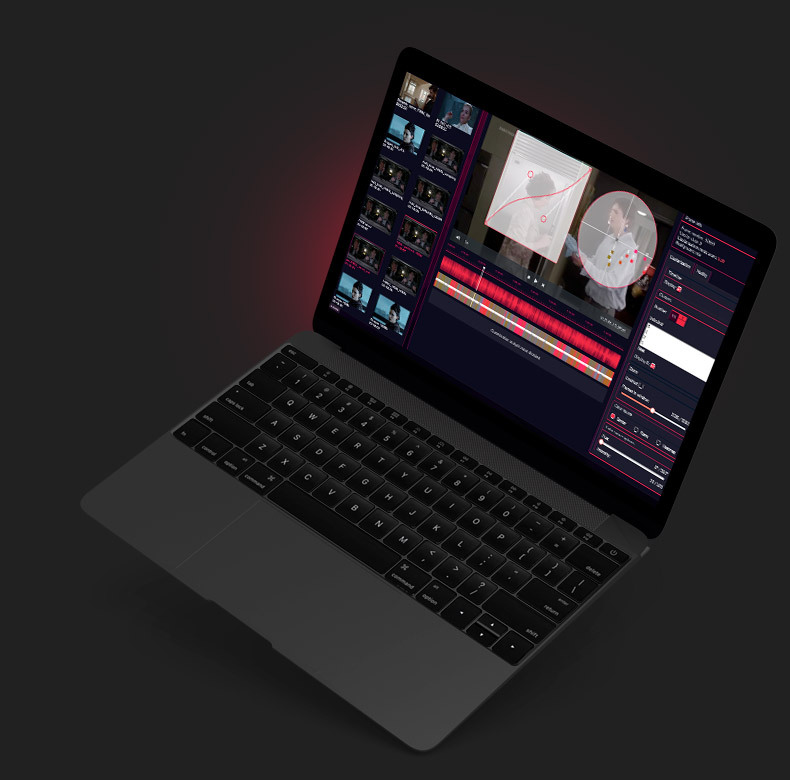 An interactive OTT video solution that allows end users to get VoD services on their laptops, PCs and set-top boxes as part of their broadband connection subscription. An easily deployed live TV solution that helps TV operators and telecommunication companies grow their business in the OTT space. Our experience has made us a trusted partner to high-profile players from a wide variety of industries and domains. Tap into our software architecture expertise to design robust and highly performant backends. Our architects implement built-in redundancy and dynamic load balancing to deliver dependable solutions at scale. With us, performance is never an afterthought. Every system is meticulously architectured for superior speed, reliability and scalability. We perform rigorous load testing to make sure your video solution is able to support millions of concurrent viewers. Streamline video delivery and reduce latency by connecting your viewers to the nearest CDN. Benefit from our multi-CDN delivery expertise to automatically optimize content performance and reduce TCO. Create recurring revenue streams with subscription-based, transactional, or ad-supported monetization. Leverage our next-gen AI-powered analytics to find the model that works best for your audience to maximize returns. Tap into our adtech know-how to optimize your return on ad spend. Underpinned by ML, our programmatic solutions enable you to target audiences with unparalleled precision and better control the context of your creatives. Circumvent ad blockers with a server-side approach to ad stitching. We implement server-side ad insertion (SSAI) to help you deliver a TV-like viewing experience without compromising your monetization goals. Improve efficiency and cut costs with AI-driven QC workflow automation. Easily process vast amounts of media content to find and auto-correct audio, video and metadata inconsistencies. Use our machine learning expertise to effectively enforce content compliance. Automatically detect scenes of violence, substance abuse, strong language, and other offensive content to meet local regulations. Supercharge engagement by enabling users to second-screen on laptops, smartphones or tablets of their choice. Boost loyalty and retention with riveting interactivity, seamless social features, addressable advertising, and T-commerce. Harness the power of social media to strike up a conversation with wider audiences. Leverage simultaneous social streaming, shareable content, and commenting to drive engagement, acquisition, and brand recognition. Engage users across devices by creating a seamless viewing experience on any screen. Leverage adaptive streaming to automatically deliver the highest quality video with no buffering or delays — even on slower 3G networks. Create highly usable, professional-looking UIs to make users fall in love with your video service. Our UX experts cover web, mobile, connected TVs, set-top boxes, streaming sticks, and more. Exceed user expectations with hyper-personalized experiences. Tap into AI to analyze customer preferences, activities and demographics for laser-targeted, real-time recommendations. Ensure easy and intuitive navigation with lightning-fast, multi-faceted search functionality. Leverage AI-powered algorithms for intelligent content discovery across the video ecosystem. Gain visibility into the quality of your video streaming and real-time viewing behavior. Leverage our QoE-aware multi-CDN solutions to eliminate delivery bottlenecks and manage traffic spikes for a superior viewing experience. We are here to help you succeed in the competitive OTT landscape. Contact us, and a video domain expert will suggest the optimal solution to your particular business needs.